I want you to spend October 100% focused on turning a profit in your business. People spend a LOT of time planning to make money and not nearly enough time actually MAKING money. It’s easy to sit around and plan and scheme and prepare yourself for when the money comes but never take any actions that lead directly to money making. We aren’t doing that anymore, fam! 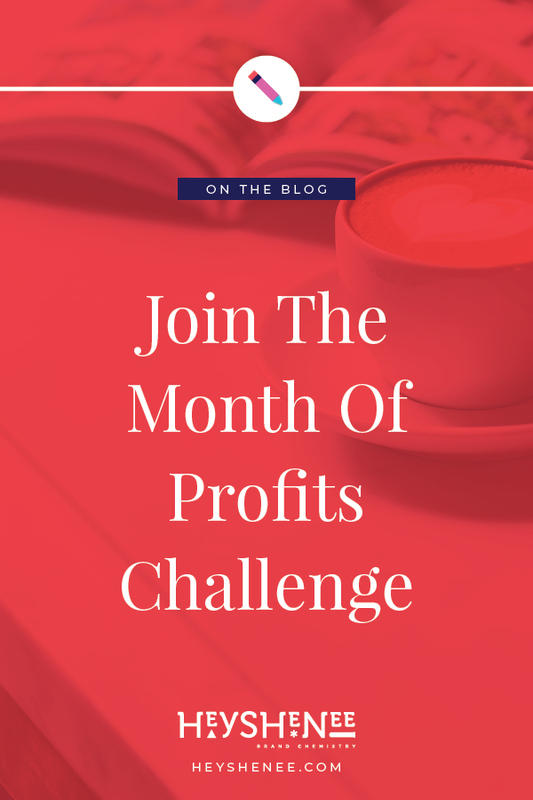 For the month of October I’m inviting you to focus 150% on PROFITS. Focus all of your energy on getting to the sale. It’s okay if you aren’t ready. TANGIBLE. That means “get sales” or “get sign ups” won’t do it. It’s all about NUMBERS. What are YOUR numbers? My goal is to get at least 50 sign ups for my membership during the month of October. What’s your goal? STEP 2: Pick 20 Profitable Actions to take in your business -- one for every weekday of the month. You are going to take 1 profitable action step for EVERY SINGLE DAY! Keep in mind -- some of these actions you can totally repeat. For example: writing an email is a profitable action for me. I can do it 4 times over the course of the month. Same for a blog post. I’ll also be doing some social media posting which is an action that can also be made profitable. Just do ONE thing a day and you’ll make more sales this month than you have in a REAL long time. Every single day this month I’ve given myself something to do with the goal of adding at least 50 new people to my membership this month. EVERY SINGLE DAY. STEP 3: Start talking about your stuff! The biggest item on my list? TAKE MY OWN ADVICE AND TALK ABOUT MY STUFF. It’s so crazy how easy it is to complain about sales not coming in when most of us haven’t actually DONE anything that would inspire someone to actually buy. I’ve made it easy with my Money Words Monthly scripts and I DON’T EVEN USE THEM. It’s madness! It’s so bad that I had a follower reach out to me and ask me if I had scripts for instagram. I was like WHAT? You serious? She was TOTALLY serious. Even though I figured people were so OVER me talking about Money Words Monthly, she didn’t even KNOW about it. Have YOU talked about your services lately? People don’t walk around thinking about you and your offer. You have to remind them. All the time. Even if they DO know, they might not have their credit card out right then to pay you. Think about it -- you see a pair of jeans you want while you are in the SUPER LONG line at Trader Joe’s. You LOVE the jeans but you are in LINE so it’s not like you can get your credit card out and buy it. What happens then? You forget about what you were doing and never go back to the jeans even though you totally wanted them. Same thing for what YOU sell. You gotta let people know. That’s REALLY what this whole month is all about and a point I’m going to be making over and over. SPEAK UP. LET PEOPLE KNOW. THEY DON’T KNOW. 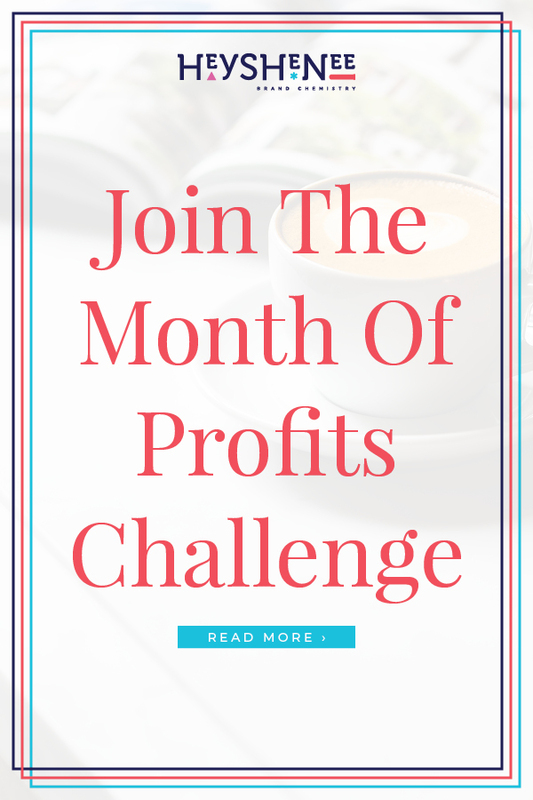 I invite you to join me in the MONTH OF PROFITS and take a profitable action every day this month and that just might mean actually TELLING people what you do. Hit reply to this post and tell me your profitable plans!